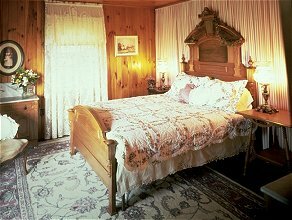 "Southern Hospitailty" is the feeling you get as you enter this cozy newly refurbished, 1939 Little Greenbrier Lodge. 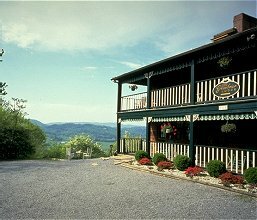 This bed and breakfast is uniquely located on the side of a mountain at the back entrance to the Great Smoky Mountains National Park. 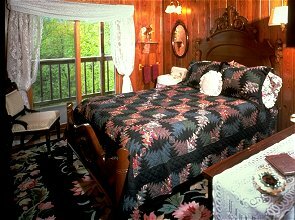 The lodge is 150 yards from a hiking trailhead that connects you to most hiking trails in the park The ten tastefully decorated Victorian rooms have access to relaxing decks overlooking tranquil Wears Valley. You're guaranteed to remember the aroma of a hot country breakfast as you head for the dining room each morning. Nestled between Gatlinburg, Pigeon Forge (home of Dolly Parton's Dollywood), Townsend, and the Great Smoky Mountains National Park, yet out of the hustle and bustle of traffic, you'll find easy access to the type of vacation you deserve. Rates: $100-$115; includes breakfast. We also accommodate small weddings. No smoking, pets, or accommodations for small children.